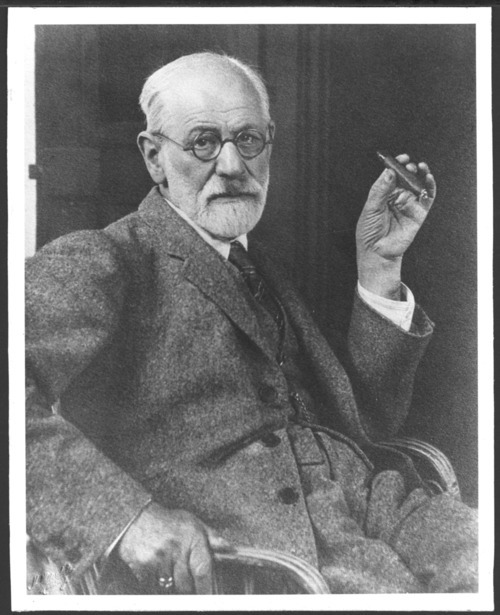 Sigmund Freud is shown with his often present cigar. This portrait is not dated. Dr. Freud was a neurologist from Austria who developed theories of psychoanalysis.